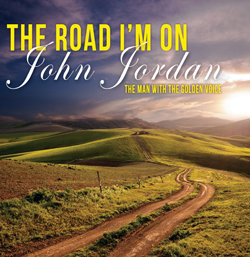 Click READ MORE for more info about John's Album "The Road I'm On" - buy it and download it today! John is formerly from Georgia where he graduated from the University of GA with a BS degree in Entomology. He spent 40 years in the Agricultural Chemical Industry of which the last ten he was owner of his own company, The Hide Group. Mr. Jordan changed the industry by bringing in Generic chemicals and selling them direct to the grower. After ten years in his own business he started singing gospel music in Branson and Pigeon Forge where he won Entertainer of The Year and also Male Vocalist of the Year, with the North American Country Music Association International, (NACMAI) plus several other awards. In addition, John is a very successful business man and entrepreneur and owns The Opry at Sand Hill in Sardis, MS. where he has been very successful at promoting country and gospel music, and has been very influential in helping the youth in Mississippi that are interested in getting into the music business. 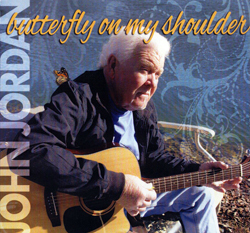 John, known as "The Man With The Golden Voice" currently has two gospel CDs and a hit single, "Butterfly On My Shoulder" which is attaining great success. 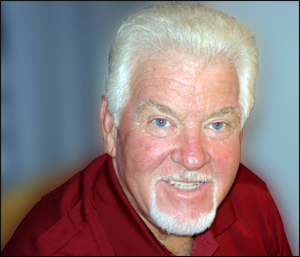 A singer, entertainer, promoter, and an in-demand, after-dinner speaker, John also served as host of the Country Junction television show. Available as a physical CD, Digital Album or Downloadable Singles!